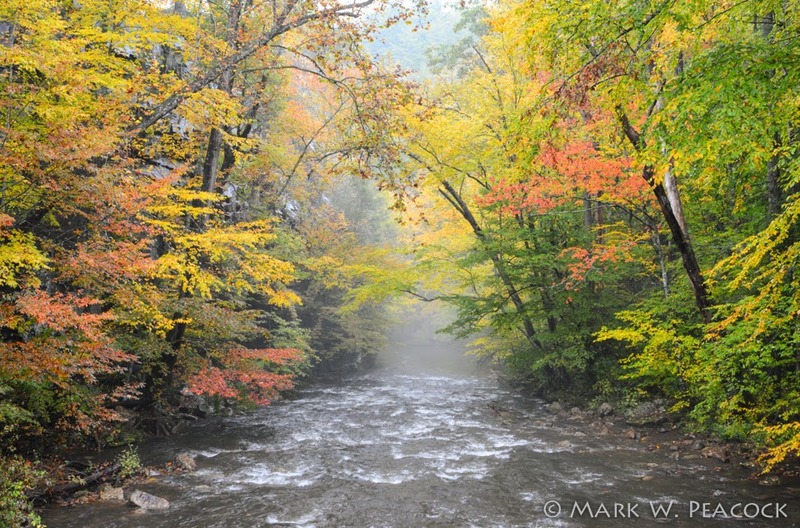 Pictured above is Beaverdam Creek on a rainy autumn day. 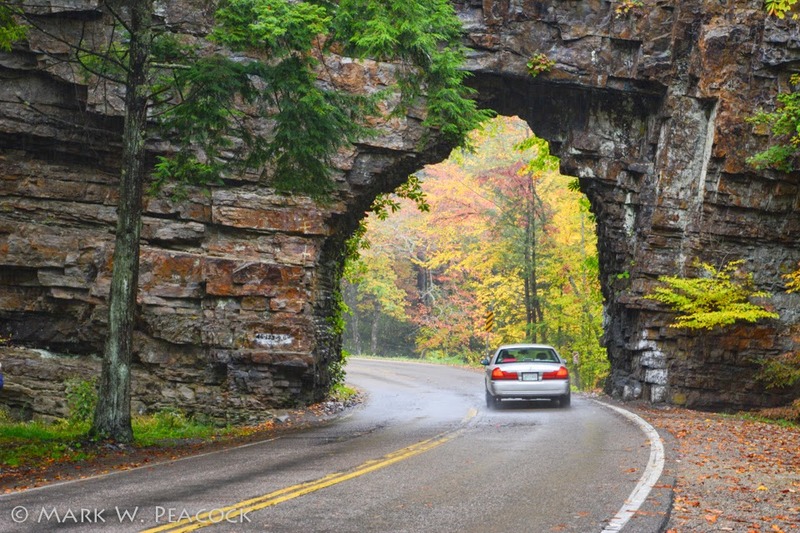 The creek flows past what has been called "the world's shortest tunnel," Backbone Rock. This tunnel was drilled through a narrow spur ridge in 1901 to connect a railroad between Shady Valley, TN and Damascus, VA. The area is great to explore (preferably on a non-rainy day). There's a nearby waterfall, a trail leading to an overlook above the tunnel, as well as picnic and camping facilities. 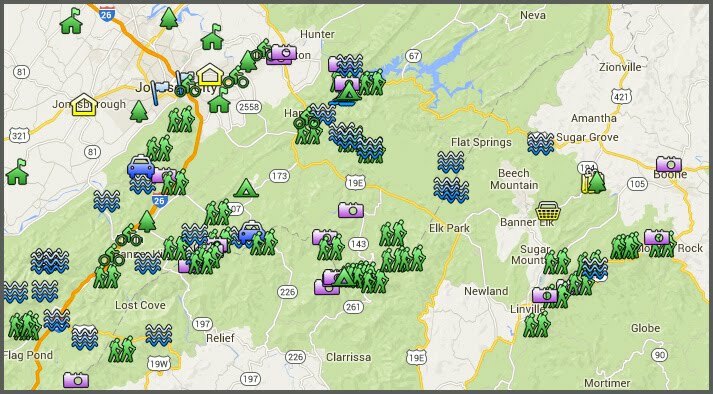 See also the Cherokee National Forest webpage.